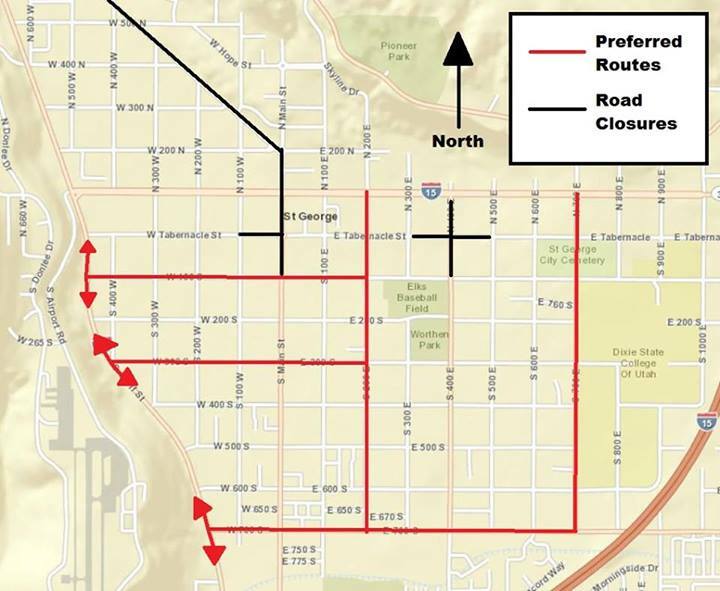 ST. GEORGE – Whenever big events like the Ironman 70.3 St. George come to town, questions about how local traffic will be affected follow. 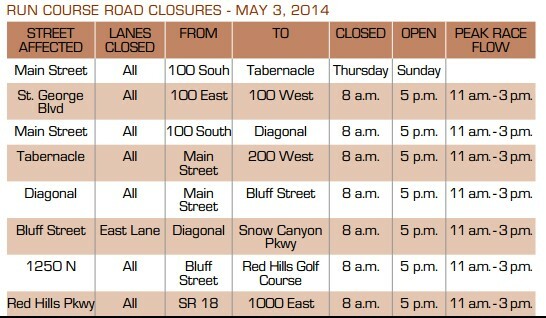 What streets will be closed and for how long? 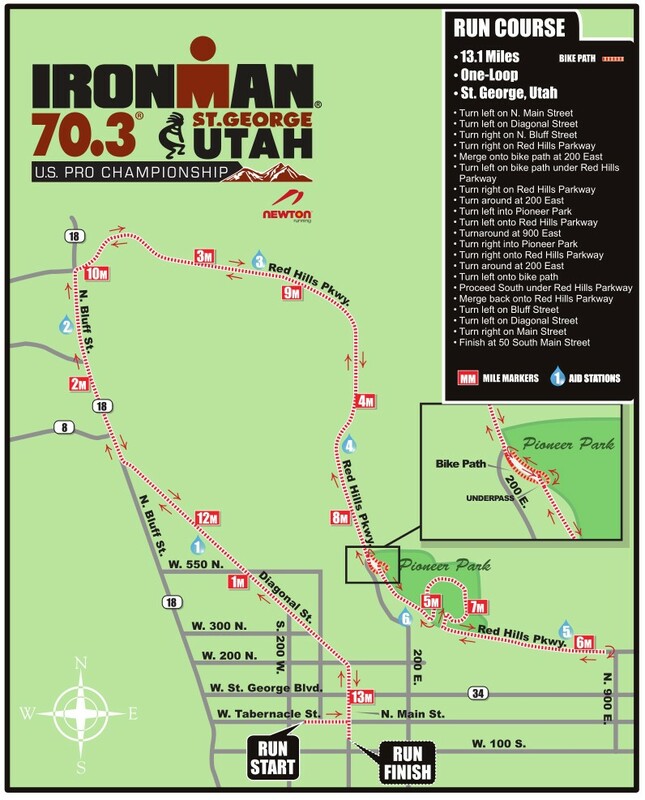 To help answer questions about the route and traffic impacts, quick reference guides have been provided by Ironman St. George 70.3 and the City of St. George which are detailed below. Click on images to enlarge. 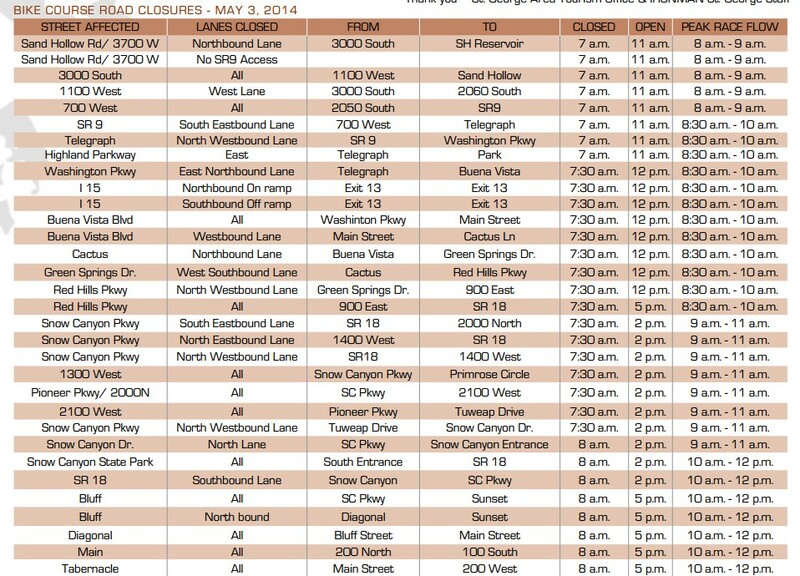 Road closures will affect the area around Sand Hollow State Park/Hurricane, St. George, Snow Canyon State Park and Ivins on Saturday. 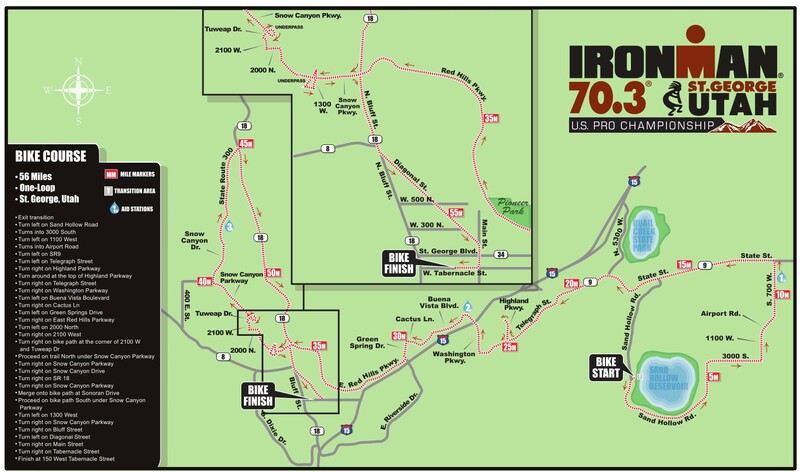 Various portions of the race route will be affected from 7 a.m. to 5 p.m.
Additional information can be found on the Ironman 70.3 St. George website. 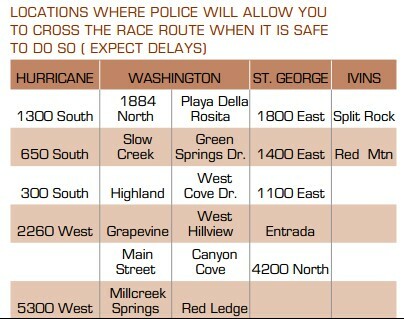 Getting around St. George while the Ironman 70.3 takes place, courtesy of the St. George Police Department. If possible avoid Telegraph Road, Washington Parkway, Buena Vista Boulevard and Green Springs until noon. Winchester Hills – Ledges Southbound on and off ramp closed. Use 5745 North. Follow the pilot car. Copyright St. George News, SaintGeorgeUtah.com LLC, 2014, all rights reserved. Mori Kessler serves as a Senior Reporter for St. George News, having previously contributed as a writer and Interim Editor in 2011-12, and an assistant editor from 2012 to mid-2014. He began writing news as a freelancer in 2009 for Today in Dixie, and joined the writing staff of St. George News in mid-2010. He is also a shameless nerd and has a bad sense of direction, often telling people go left while he is pointing right. Numbers greater than five also confuse him.